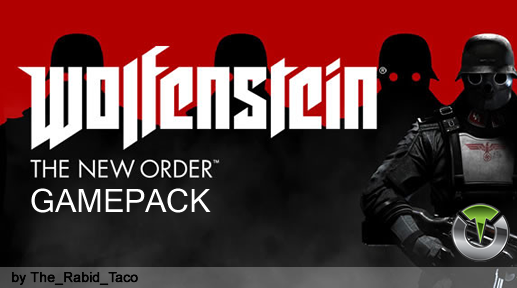 Wolfenstein: The New Order Gamepack by The_Rabid_Taco. Titan One Exclusive Feature: Wolfenstein: The New Order Gamepack (by The_Rabid_Taco). When rapid fire is enabled, you can turn virtually any semi automatic weapon into a fully automatic weapon. This creates a very unique advantage for players using semi automatic weapons. While rapid fire will not usually make a fully automatic guns shoot any faster, it can have positive side effects on fully automatic guns such as reducing recoil, helping players conserve ammunition and achieve more headshots. With the Easy Akimbo MOD turned on, pulling the right trigger alone will fire both pistols using Quick Rapidfire. Rapidfire Mode determines an assist action to be used together with the activated Rapidfire. The ADS (scope) enables Rapidfire. The ADS (scope) disables Rapidfire. Automatically picks up available items laying around. This is great as you don't have to keep pressing the button to continuously pick up items, ammo, or grenades. This is also a great way to find hidden or out of the way items. Tired of holding the button when in cover to lean? This mod turns leaning into a toggle allowing you to fully focus on the fight at hand. Press the first time to toggle on and use cover without having to hold down the button. A second press toggles this mode off and will resume normal movement. Most users play the game using the default button layout but a lot of players do use optional button layout and switch their thumbstick positions. With the Button Layouts you can make any of the MODS on the Titan One work with your favorite button layout.